Seventeen-year-old Ember Miller, living in a world in which the Bill of Rights has been revoked, is able to keep a low profile until her mother is arrested for noncompliance and she realizes the officer responsible is her first love, Chase Jennings. Ethan Wate finally begins to like his small Southern town of Gatlin after meeting Lena Duchannes, but when he is forced to leave everything behind, both Ethan and Lena risk everything to be together again. Sydney is an alchemist, one of a group of humans who dabble in magic and serve to bridge the worlds of human and vampires. They protect vampire secrets - and human lives. In the aftermath of a forbidden moment that rocked Sydney to her core, she finds herself struggling to draw the line between her Alchemist teachings and what her heart is urging her to do. Then she meets alluring, rebellious Marcus Finch--a former Alchemist who escaped against all odds, and is now on the run. Marcus wants to teach Sydney the secrets he claims the Alchemists are hiding from her. But as he pushes her to rebel against the people who raised her, Sydney finds that breaking free is harder than she thought. After falling in love, Lena and Alex flee their oppressive society where love is outlawed and everyone must receive "the cure"--an operation that makes them immune to the delirium of love--but Lena alone manages to find her way to a community of resistance fighters, and although she is bereft without the boy she loves, her struggles seem to be leading her toward a new love. Zoey enters the House of Night, a school where, after having undergone the Change, she will train to become an adult vampire -- that is, if she makes it through the Change. Not all of those who are chosen do. It's tough to begin a new life, away from her parents and friends, and on top of that, Zoey finds she is no average fledgling. She has been Marked as special by the vampyre Goddess, Nyx. But she is not the only fledgling at the House of Night with special powers. When she discovers that the leader of the Dark Daughters, the school's most elite club, is misusing her Goddess-given gifts, Zoey must look deep within herself for the courage to embrace her destiny--with a little help from her new vampyre friends. Fledgling vampyre Zoey Redbird has managed to settle in at the House of Night. She's come to terms with the vast powers the vampyre goddess, Nyx, has given her, and is getting a handle on being the new Leader of the Dark Daughters. Best of all, Zoey finally feels like she belongs--like she really fits in. She actually has a boyfriend…or two. Then the unthinkable happens: Human teenagers are being killed, and all the evidence points to the House of Night. Dark forces are at work at the House of Night and fledgling vampyre Zoey Redbird’s adventures at the school take a mysterious turn. Those who appear to be friends are turning out to be enemies. And oddly enough, sworn enemies are also turning into friends. Zoey's adventures at vampyre finishing school take a wild and dangerous turn as loyalties are tested, shocking true intentions come to light, and an ancient evil is awakened. Zoey’s friends have her back again and Stevie Rae and the red fledglings aren’t Neferet’s secrets any longer. But an unexpected danger has emerged. Neferet guards her powerful new consort, Kalona, and no one at the House of Night seems to understand the threat he poses. Kalona looks gorgeous, and he has the House of Night under his spell. A past life holds the key to breaking his rapidly spreading influence, but what if this past life shows Zoey secrets she doesn’t want to hear and truths she can’t face? Aphrodite’s visions warn Zoey to stay away from the immortal Kalona and his dark allure—but they also show that only Zoey can stop him. She’s not exactly keen to meet up, but if Zoey doesn’t go to Kalona he’ll exact a fiery vengeance on those closest to her. She just has to find the courage to do what’s necessary, or everything that’s important to her will be destroyed. Zoey Redbird is the youngest High Priestess in House of Night history and is the only person—vamp or fledgling—that can stop the evil Neferet from raising all kinds of immortal trouble. And she might just have a chance if she wasn’t so busy being dead. Katniss Everdeen has survived the Hunger Games twice and the Capitol wants revenge and President Snow says no one is safe. Nora, concerned that she seems to be in danger more than the average high school student, and having decided she relies too much on her guardian angel, Patch, sets out to investigate what really happened the night her father left for Portland, Maine, and never came back. Nora and Patch must hide their relationship in order to end the war between the fallen angels and the Nephilim. Tessa Gray should be happy – aren't all brides happy? Yet as she prepares for her wedding, a net of shadows begins to tighten around the Shadowhunters of the London Institute. Eragon and his dragon, Saphira, having spent months in training and battle, face the evil king Galbatorix in order to restore justice to Alagaësia, but worry they are not strong enough to defeat him. Sixteen-year-old Meghan, who has felt like something in her life has been slightly off since her father disappeared when she was six, learns that she is the daughter of a mythical faery king, becomes involved in a deadly war, and tries to find love with a young prince. Meghan, half Summer faery princess and half human, is taken captive by the Winter faery queen, but while hostilities continue to grow between Winter and Summer, Meghan knows the real threat comes from the Iron fey that only she and her former boyfriend, the Winter prince, have seen. Faery prince Ash--the last remaining son of Mab, Queen of the Unseelie Court--finally gets to tell his story: how he escaped the Winter Court with his life intact and the promise he made to the Iron Queen. Winter's Passage (1.5) - Never make a promise to a faery. They always come to collect. Now Meghan Chase must fulfill her promise to Prince Ash of the Winter Court and embark upon a dangerous journey into the heart of enemy territory—while being pursued by a relentless new foe and guarding her own foolish heart. Summer's Crossing (3.5) - What can turn enemies into reluctant allies? A call from the Exile Queen, Leanansidhe, ties legendary prankster Puck to his archenemy, Prince Ash, on a journey that may end in betrayal and will set them both on an irreversible path. After his unexpected journey into the lands of the fey, Ethan Chase just wants to get back to normal. Well, as "normal" as you can be when you see faeries every day of your life. Suddenly the former loner with the bad reputation has someone to try for-his girlfriend, Kenzie. Never mind that he's forbidden to see her again. As Ethan's and Keirran's fates entwine and Keirran slips further into darkness, Ethan's next choice may decide the fate of them all. Just when a peace treaty is imminent, a plague outbreak causes panic in the Colonies, and war threatens the Republic’s border cities. This new strain of plague is deadlier than ever, and June is the only one who knows the key to her country’s defense. But saving the lives of thousands will mean asking the one she loves to give up everything he has. This introduction to the hobbit Bilbo Baggins, the wizard Gandalf, Gollum, and the spectacular world of Middle-earth recounts of the adventures of a reluctant hero, a powerful and dangerous ring, and the cruel dragon Smaug the Magnificent. Through the urgings of the enigmatic wizard Gandalf, young hobbit Frodo Baggins embarks on an urgent, incredibly treacherous journey to destroy the One Ring. This ring -- created and then lost by the Dark Lord, Sauron, centuries earlier -- is a weapon of evil, one that Sauron desperately wants returned to him. With the power of the ring once again his own, the Dark Lord will unleash his wrath upon all of Middle-earth. The only way to prevent this horrible fate from becoming reality is to return the Ring to Mordor, the only place it can be destroyed. John--aka Number Four--continues his quest to find the rest of the Lorien Nine before the Mogadorians can, and, with time running out, Number Six goes off alone while John teams up with Number Nine. Cinder is trying to break out of prison—even though if she succeeds, she'll be the Commonwealth's most wanted fugitive. Mark and Trina struggle to survive as modern civilization is destroyed by sun flares and mutating diseases. Michael, Taylor, Ostin and the rest of the Electroclan have destroyed the largest of the Elgen Starxource plants, but now they’re on the run. The Elgen have teamed up with the Peruvian army to capture them, and only Michael remains free. With his friends due to stand trial for terrorism—a charge that may carry the death penalty—Michael will need all his wits and his abilities if he’s to save them. 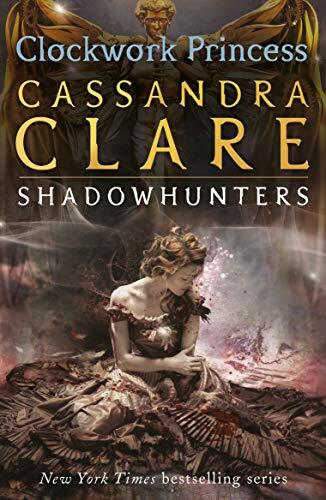 Suddenly able to see demons and the Shadowhunters who are dedicated to returning them to their own dimension, fifteen-year-old Clary Fray is drawn into this bizarre world when her mother diasppears and Clary herself is almost killed by a monster. When Rigg and his friends crossed the Wall between the only world they knew and a world they could not imagine, he hoped he was leading them to safety. But the dangers in this new wallfold are more difficult to see. Juliette hasn’t touched anyone in exactly 264 days. The last time she did, it was an accident, but The Reestablishment locked her up for murder. No one knows why Juliette’s touch is fatal. As long as she doesn’t hurt anyone else, no one really cares. The world is too busy crumbling to pieces to pay attention to a 17-year-old girl. This novella-length digital original will bridge the gap between these two novels from the perspective of the villain we all love to hate, Warner, the ruthless leader of Sector 45. Strange things are happening to Daire Santos and fearing for her daughter's sanity, Daire's mother sends her to live with the grandmother she's never met, but who recognizes the visions for what they truly are-the call to her destiny as a Soul Seeker-one who can navigate the worlds between the living and dead. Daire Santos, having let a dark family of sorcerers loose in the Lowerworld while saving her grandmother's life and soul, teams up with her boyfriend, Dace, to find them and stop them from destroying the entire world, while Dace's evil brother forces Daire to face a horrifying prophecy. The recent attack on St. Vladimir's Academy devastated the entire Moroi world. Many are dead. And, for the few victims carried off by Strigoi, their fates are even worse. A rare tattoo now adorns Rose's neck, a mark that says she's killed far too many Strigoi to count. But only one victim matters . . . Dimitri Belikov. Rose must now choose one of two very different paths: honoring her life's vow to protect Lissa—her best friend and the last surviving Dragomir princess—or, dropping out of the Academy to strike out on her own and hunt down the man she loves. After a long and heartbreaking journey to Dimitri's birthplace in Siberia, Rose Hathaway has finally returned to St. Vladimir's -- and to her best friend, Lissa. It is nearly graduation, and the girls can't wait for their real lives beyond the Academy's iron gates to begin. But Rose's heart still aches for Dimitri, and she knows he's out there, somewhere. She failed to kill him when she had the chance. And now her worst fears are about to come true. The clock on Rose's life is running out. Rose knows in her heart the world of the dead wants her back...and this time she is truly out of second chances. The big question is, when your whole life is about saving others, who will save you? As the werewolves are hunted by those intent on destroying them, Sam and Grace risk everything to be together.